Thank you for your review and sorry to hear that your experience at Villa 84 was not to your satisfaction. We purchased the villa many years ago as a place for our family to enjoy and it has served us well over the years. We are now able to spend more time on the island and we have already started to make numerous improvements to the villa which includes new furniture for the patios and living areas, dropped pickled wooden ceilings throughout the interiors with recessed lights and ceiling fans in the living room, bedrooms and kitchen. 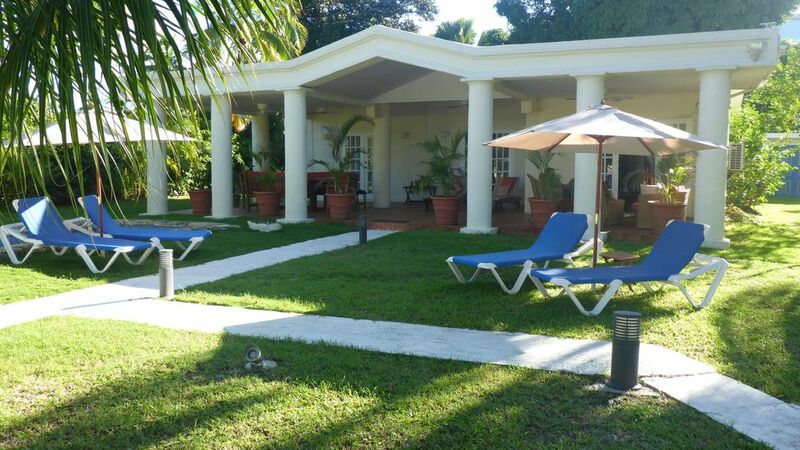 Barbados Villa Services have managed our property, among many others, since 2001 and we have always found them professional and efficient in taking care of our property. We are happy with their services and they are rated high on the island. Once we have completed the renovations we will be updating the photos on our listing and we, along with Barbados Villa Services, look forward to welcoming back our repeat guests and welcoming future guests. Don't miss the Fish-fry at Oistins on Fridays! Thank you Bettina and Peter for the lovely stay at your house. Dirty Villa.nothing working.Full of junk and a terrible smell of urine.no hand rail on pool so unable to go in.Barbados Villa Services who manage the Villa could not care less.Blood on mattress protector and bathrooms awful.TV not receiving signal till we arranged ourselves to be repaired.Would not recommend this Villa to anyone. Dreadful. We purchased the villa many years ago as a place for our family to enjoy and it has served us well over the years. We are now able to spend more time on the island and we have alreadgy started to make numerous improvements to the villa which includes new furniture for the patios and living areas, dropped pickled wooden ceilings throughout the interiors with recessed lights and ceiling fans in the living room, bedrooms and kitchen. We stayed in your Villa for wonderful two weeks. We where amazed about the tropical setting of your garden although we could not reach the coconuts in the trees, but had plenty of mangos that we found fallen every morning :-). The pool was very warm and not too deep, so our daughter was hard to get out of the water while we were relaxing on the inpool seats with a drink. The outside patios are fantastic!!! We used them until late at night. Ceiling fans are a good idea for outside. Rooms where nice and clean, the bathrooms very tasteful mediterranean style, complete all-you-need kitchen with ice maker, large flat TV for entertainment and a fast Internet connection throughout the house. We will certainly be back! Thank you to let us participate in your lovely holiday home! Thank you, you have been very pleasant Guests to us and we welcome you back! We had a very relaxed time in the villa and particularly on the terrace , which was our additional living-room during the stay. Very pleasant and uncomplicated landlord and a helpful concierge desk ( for example shuttel from or to the airport , car rental , etc. ) Short distance to the supermarket , short walk to some restaurants of all categories ( top or simple beach restaurant ) or sundowner bar . The villa is located in a quiet and good residential area . Pleasant and helpful neighborhood. Those looking for pure luxury, have to go to Sandy Lane ( Afternoon Tea - absolute recommendation ). The kitchen is adequately equipped. The blender for our everyday smoothies, we immediately bought ourselves at home. Brillant!!! If you are looking for a simply stress-free holiday and/or reading a good book on the terrace, than this is the right place to be. Rates are per night inclusive of VAT. Extra person rate USD25.00 per night. As the property is fully air conditioned electricity may be metered if a/c usage exceeds usual night usage. Xmas payments are non-refundable. All others are non-refundable if cancelled within 7 weeks of arrival.